Professional Photo finishing and presentation make the difference between a photograph that is proudly displayed or one that sits in a box. Photographic prints are intended to be viewed. Because they are printed on paper, they can be easily damaged. Professionally printed photographs can stay in excellent condition for over a century; however, if you use inappropriate materials for mounting or if it is exposed to airborne pollutants, your print can rapidly deteriorate. In order to have a long life, Fine art photography, should be finished by professionals, with proven methods and materials that ensure durability. When preparing prints for exhibitions or special displays, content, intentions of the user of the image, and the display environment should be considered. Prints that might otherwise be framed, may need to be printed in larger sizes and presented as Gallery Flats or mounted to Gatorfoam panels. In such circumstances, it is even more important to make sure that the methods and materials used will be fit for purpose. For example, prints have been found to fade during an exhibition because they were mounted using an unsuitable adhesive. Having taken care to produce the best possible print, there is little doubt that it will look even better, and be better protected, when it has been mounted to be truly flat. It is recommended that only those boards and other materials intended for print mounting and display should be used. Acid free materials are particularly important for archival purposes. Unsuitable materials may cause prints to stain or deteriorate in other ways. Choose the proper substrate for the intended usage. Brushed aluminum in stock. Other colors on special order. Very Flat, Flexible, rugged, water resistant. Many colors and thicknesses available. Usually stocked in black or white in 3mm and 6mm. Natural is standard color. Also available in white and black on special order. 3/16, 1/2, 3/4, 1 and 1.25″ thick. Very flexible and can curl. 20mil only. Clear, no colors. This box style frame is mounted to the back of your substrate with a margin, allowing the presentation too look as if it’s floating away from the wall. French Cleat is included. Shown affixed to the backside of Aluminum Sheet. This box style frame is mounted to the back of your substrate with a margin, allowing the presentation too look as if it’s floating away from the wall. French Cleat is included. Plex requires special edge treatments and special ordering. 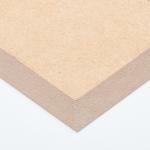 Please allow: 7 additional business days for Satin Edges and 10 additional business days for Hand-Polished Edges. Enhances your image with a perceived increase in visual “snap”. The viewer sees higher contrast, increased detail and color separation. 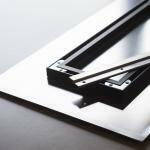 High gloss surface and you have a choice of satin edges or hand polished edges at the same price. Normal Service: 4 working days Faster service quoted on request. 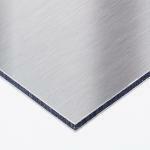 Aluminum sheet is ideal for glossy prints or lams. Normal Service: 4 working days Faster service quoted on request. Aluminum sheet bonded over a poly core. Smooth, durable and archival. 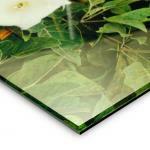 White AlumaPanel is ideal for glossy prints or lams. 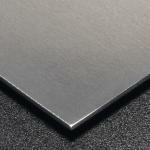 The brushed aluminum , called a “Butler Finish”, is perfect for spot mount presentations. Normal Service: 4 working days. Faster service quoted on request. Basic matte board like material. Semi-smooth and white only. To reduce the orange peel effect from mounting high gloss prints, please mount glossy prints and lams on Plex or AlumaPanel. Normal Service: 4 working days Faster service quoted on request. 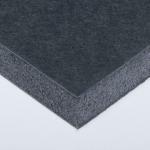 Foam Core or Komatex products products can warp over time. We cannot guarantee or warranty these products against warping. If you are seeking a long term product that is stable against warping, we recommend Plex, AlumaPanel, or MDF with properly sized box frame cleats. To reduce the orange peel effect from mounting high gloss prints, please mount glossy prints and lams on Plex or AlumaPanel. Normal Service: 4 working days Faster service quoted on request. Pre-consumer recycled product. Also available in flame resistant version – call for quote. To reduce the orange peel effect from mounting high gloss prints, please mount glossy prints and lams on Plex or AlumaPanel. Normal Service: 4 working days Faster service quoted on request. To reduce the orange peel effect from mounting high gloss prints, please mount glossy prints and lams on Plex or AlumaPanel. 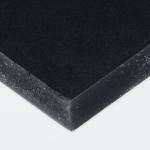 Foam Core or Komatex products products can warp over time. We cannot guarantee or warranty these products against warping. If you are seeking a long term product that is stable against warping, we recommend Plex, AlumaPanel, or MDF with properly sized box frame cleats. Normal Service: 4 working days if ordering Laminate only. 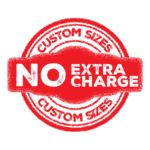 No additional time if ordered with a mounting substrate. Faster service quoted on request.